Sustainable Construction feature article in Austin Business Journal | Thoughtcrib, Inc. 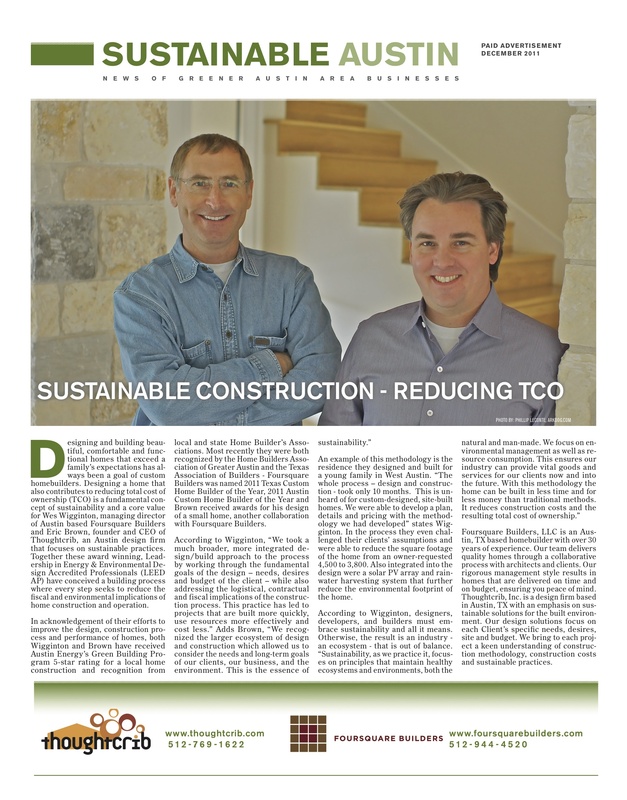 I recently collaborated with Wes Wigginton of Foursquare Builders on an article featured in the Sustainable Austin section of the Austin Business Journal. We hope you enjoy this article – let us know what you think. Additional credits to Debrah Dubay and Phillip LeConte for their assistance with writing and photography.